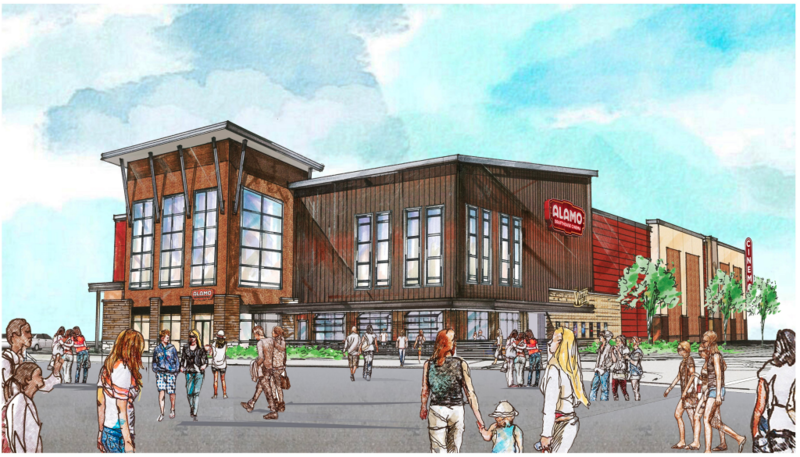 Denton Is Getting Its Own Alamo Drafthouse. North Texas’ Fifth Alamo Drafthouse Location Will Open In Denton In 2018 (After, Presumably, The Third And Fourth Area Locations Do). 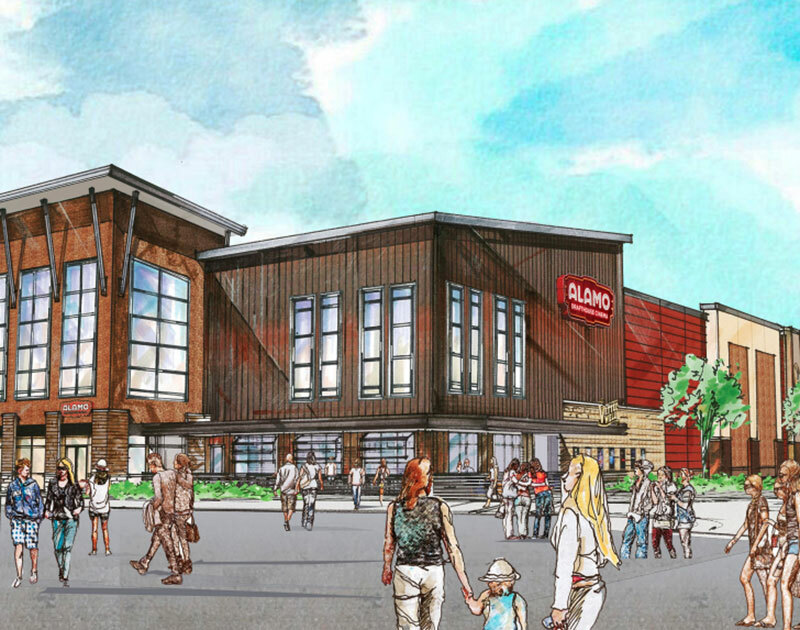 In a press announcement released this morning, the North Texas team behind the Austin-based movie theater chain’s area cinemas revealed that it will be opening up its newest location as part of the college town’s Rayzor Ranch development. 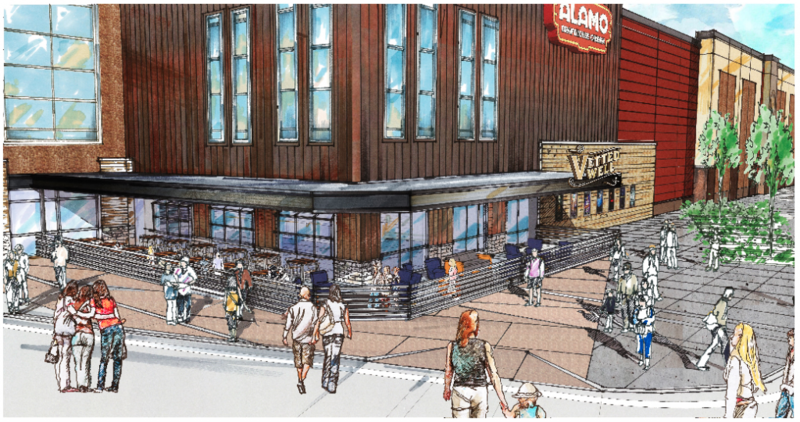 Of course, this isn’t exactly new news — an employee of the company first confirmed in February that an Alamo Drafthouse was headed Denton’s way and construction on the theater began in September — but, hey, now we have renderings and stuff! When it opens in early 2018, it will feature eight theaters that, keeping in line with the company’s other theaters, will include screens capable of projecting in 4K for the new releases and 35mm for the repertory screenings. Visitors can also expect the usual movie-themed food and drink menus, plus fancy reclining chairs. 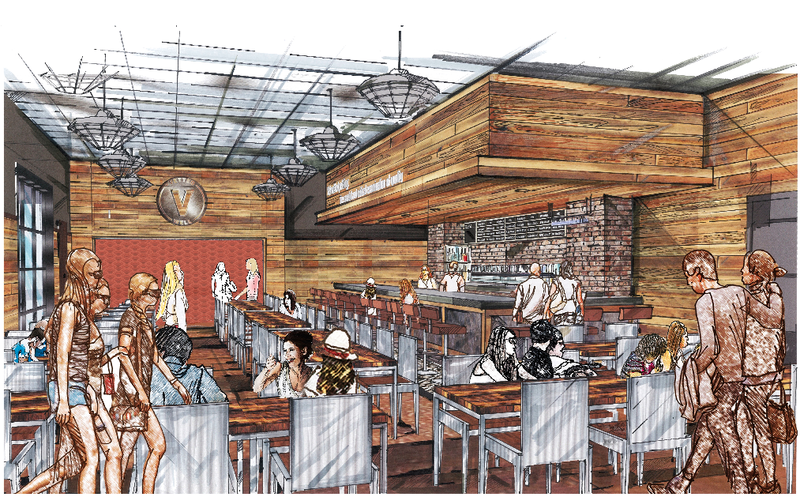 And, much like the Cedars location in Dallas, the Denton location will also include a location of the brand’s Vetted Well bar, with this version promising to carry 32 local beers on tap. The Denton location is the Alamo’s fifth announced North Texas location, although just two are currently open. The region’s original Richardson location opened in 2013, followed by the aforementioned Cedars location in Downtown Dallas, which came in 2016. A second Dallas location in Lake Highlands and a location within the Toyota Music Factory location in Las Colinas are set to open in 2018 along with the new Denton spot. Wanna bet Fort Worth comes next? Because we’re betting Fort Worth is next. Previous ArticleSeven Grindr-Related Robberies Reported This Week. Next ArticleWanna Be On The Mavericks’ Official NBA 2K Team?